Originally a miner's cottage positioned across from the beach at Kaiaua in the Firth of Thames, this building has now found a new home in the winterless Far North. Our site is north facing, elevated with a fine view of Doubtless Bay and Cable Bay. Its an easy walk from the cottage to the shady Pohutukawas that line the pink sand at Cable Bay. Award winning Northland builders Coastal Homes undertook careful renovations in keeping with the character of the cottage, now a much grander little house than she was ever born to be. The kauri bathroom vanity top was originally the kitchen bench, and the rimu trim in the kitchen is from the original kitchen cabinets. There is now a lovely granite benchtop in the kitchen and a combination gas/induction cook-top. A gourmet delight, there are many spices and garnishes on the shelves which you're welcome to use; we just ask that should you use the last of anything, to please be kind enough to replace ready for the next occupants and owner. Fully renovated in 2012, the Miner's Cottage of Cable Bay is available to single guests or couples only. Sorry, no kids or pets. Theres a new modern bathroom with good water pressure. A mini sound system with docking station is available. Although no TV or phone, there is plenty to read on the bookshelves. Crisp clean bed and bath linen is supplied and the tariff covers a light clean upon your departure. The arhhh moment...sitting on the deck sipping your favourite beverage, watching the sun set or simply enjoying the many changing shades of Doubtless Bay; all accompanied by the sound of waves breaking on Cable Bay Beach....Don't worry, mobile phone reception is excellent. The Miner's Cottage is managed by Bachman. Stone's throw from the beach and views of the bay. Great cottage for a couple. 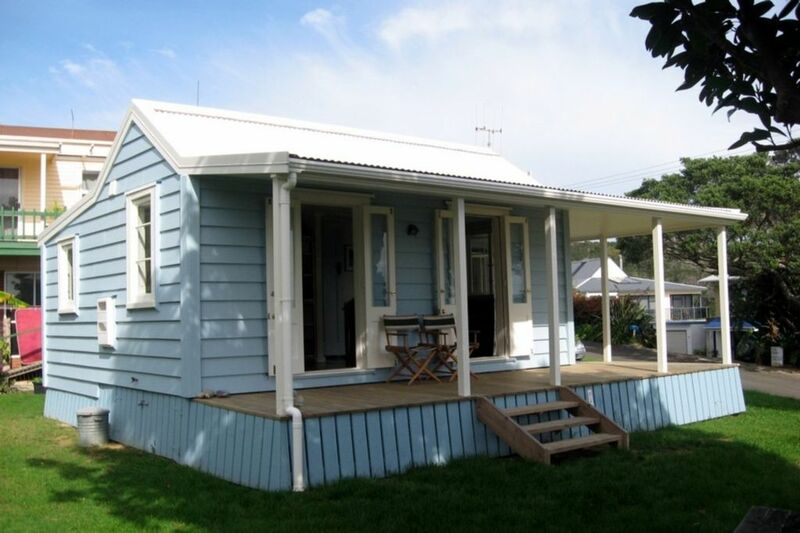 Well located and easy access to all beaches in Doubtless Bay. Very cool place to stay. Very cool place to stay. The inly feedback would be better pillows as I found the ones onsite very uncomfortable. Spectacular views, handy to the beach, fantastic kitchen set up, comfortable bed. Spectacular views, handy to the beach, fantastic kitchen set up, comfortable bed. We loved it. Lovely little character property in great location.